Glasgow Tigers owners, Allied Vehicles, are set to renew their sponsorship of the Great Britain Speedway Team as Principal Partners for the 2019 campaign. 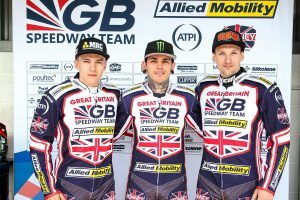 Last year Allied Mobility, part of the Allied Vehicles Group, featured on the GB Team’s kevlars and bike covers in both the Speedway of Nations and the Test Match against Australia in Glasgow last July. A bumper crowd of over 2,000 spectators travelled far and wide to see some of the biggest names in speedway, including World Champion Tai Woffinden, race off on the Ashfield track.